Patchwork pattern in terra cotta, reds, and greens. Cotton Filled, Prewashed, Luxury Oversized. 66" x 86". 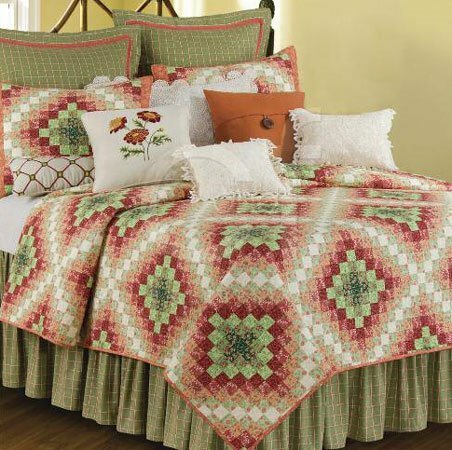 We offer the complete ensemble in the Ireland pattern by C & F.